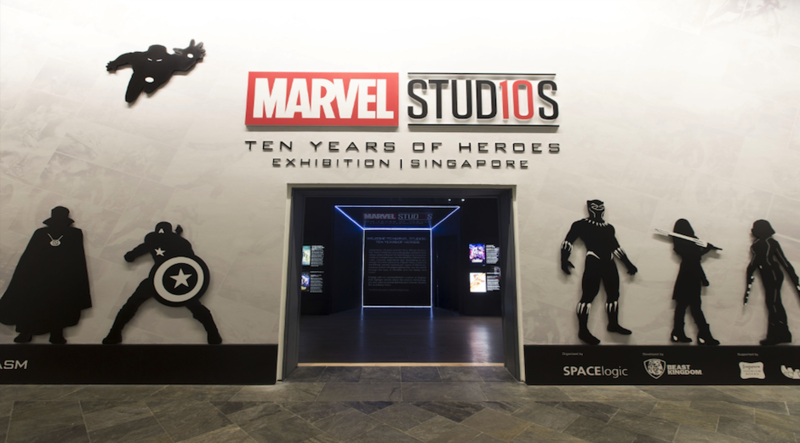 To celebrate a decade of Marvel heroes in cinema, Marvel Studios: Ten Years of Heroes exhibition was launched at the ArtScience Museum in Singapore. The exhibition which launched in June 2018, promised to take fans ‘up close and personal’ with every aspect of the Marvel Universe. From a dance-off with baby Groot to an Iron-Man replica standing at over 16 feet tall – Marvel definitely kept their promise. 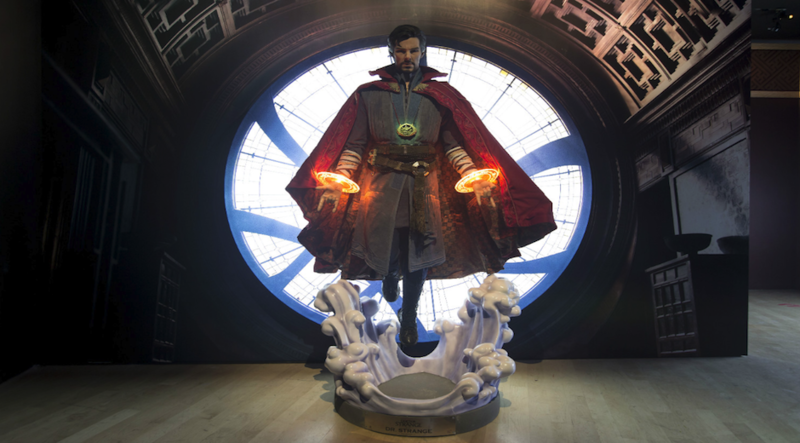 The tech-driven exhibition even boasted an interactive activation giving fans the opportunity to open a time portal – just like the hero Doctor Strange! In collaboration with Beast Kingdom, we re-versioned our pre-existing application from a previous interactive experience, for the new Doctor Strange exhibit. In the exhibition, users were invited to ‘stand here to control reality’ with a glowing green rune displayed on the screen. The gesture-based experience got users to draw a circle in the air with their hand in order to spin the rune and reveal the burning portal. As the portal opened, it revealed a live camera feed from another location at a nearby Mall. A temporary bridge was created connecting the two locations for a few seconds before the portal closed. By using augmented reality we were able to bring the powers of Doctor Strange to life, offering the public a chance to try their hand at being the Earth’s Sorcerer Supreme. 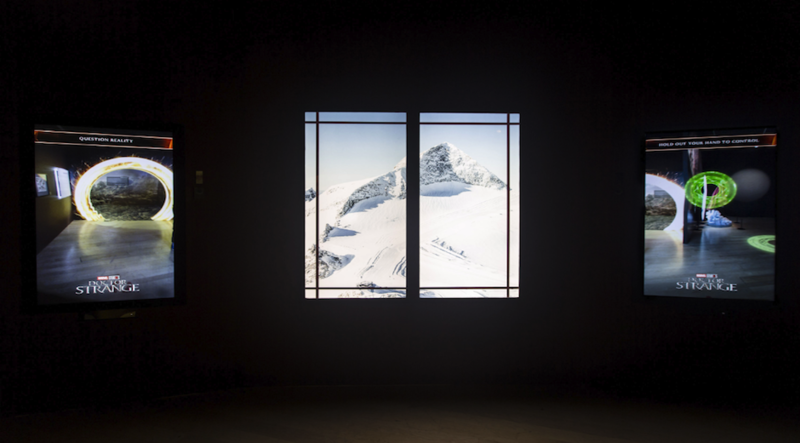 Digital technology has become a powerful tool for the entertainment industry, not only does produce some of the best creative campaigns, but it can also be used to heighten an audience’s interaction with a brand. Previously, fans of the Disney Marvel movies could only dream of having powers like Doctor Strange’s – but creative use of technology made those dreams into a reality.